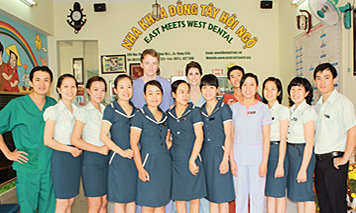 In 1996, the East Meets West Dental Program team consisted of three staff members, one dentist, one nurse and one infection controller and one dental chair, located in Peace Village, Da Nang City. Over the years, as the program expanded, it changed locations and added more dentists, dental nurses, and dental chairs. The biggest turning point came in 2012, when the Dental Program opened the EMW Dental Center at its current location and began providing services to paying clients. The team now consists of 15 full-time staff members: four dentists, six dental nurses/infection controllers, and five administrative and accounting support staff. 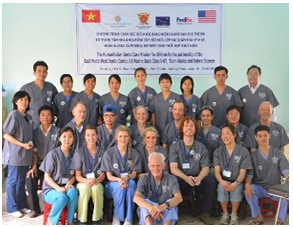 The EMW dental team continues to receive ongoing technical assistance from over 20 leading dental experts from Ho Chi Minh City, the US, Canada, England and other countries.